This past week has been wild to say the least. The Texas Panhandle has been caught in the midst of the recovery from the ice storm that hit us. You can’t drive down a street without seeing branches lying in a yard or partially on the street. Some homes have been damaged and electrical service was interrupted because of downed lines. I am so thankful that I have a church family that responds to the needs of individuals as they arise. We have people who are taking others to doctors’ appointments, picking up groceries for someone who can’t get out and just checking on people who may have problems. It seems like for many people their worlds have been turned upside down recently. It’s not only here in the panhandle, but from Arkansas to Georgia. The latest that I heard there were over 20 killed in Georgia from the tornadoes that had hit there. While this was going on some areas were hit with snow and cold. Other parts of the world have been experiencing weather conditions that have brought on struggles they have had to deal with at this time. That brought a question to mind. It is a question that was asked in the midst of world events and one that is often asked in our individual lives. The question is – “Where is God in the midst of life’s storms?” It is a question that has been asked for years and will be asked until Christ returns. Our generation is not the first to ask the question. I believe that in one form or another it has been asked down through the ages. Remember Elijah as he fled from Jezebel? In 1 Kings 19:9-14 Elijah was feeling alone as if God had deserted him. Yet God assured him that he was in that ‘gentle blowing’. Then there was Jeremiah who labored forty years preaching in Jerusalem with no results. 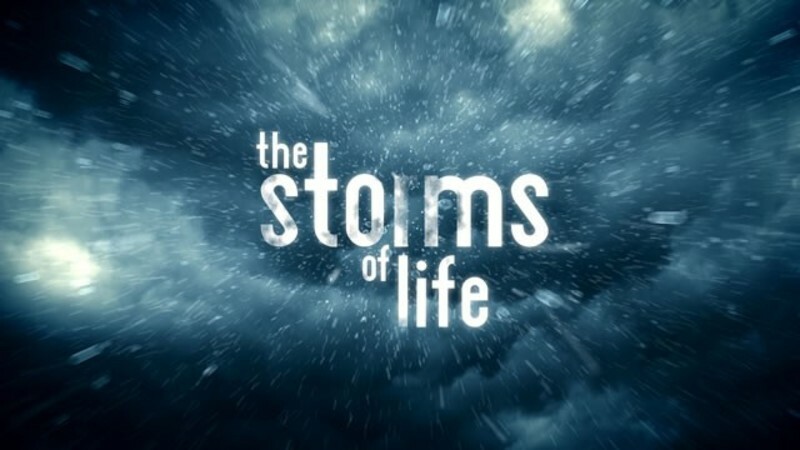 At one point he questioned where God was in the midst of ‘life’s storms’. Jeremiah 20:7-18 tells how he even determined to quit preaching but the Word of God became a ‘fire in his bones’ and he once again began to preach. There are many others that I could point out from Abraham to Stephen to Paul. Yet the most poignant of all is Christ Himself. As He prayed in the Garden it was for the will of God to be done above all else. As he hung suspended between heaven and earth, He cried out asking, “My God, My God, Why have You forsaken Me?” Surely in that moment as the sins of the world were placed upon Him, He felt so alone in the midst of His life’s storm. Yet it was for this purpose that He came. 1 John 3:5 says, “And you know that He appeared in order to take away sins; and in Him there is no sin.” He is ‘the Lamb of God who takes away the sin of the world!’ He bore the sins of all mankind for all time so that we might find the freedom only available through Him. What He did for us no other could do. In Hebrews 9:11-12 we find God saying to us – “But when Christ appeared as a high priest of the good things to come, He entered through the greater and more perfect tabernacle, not made with hands, that is to say, not of this creation; and not through the blood of goats and calves, but through His own blood, He entered the holy place once for all, having obtained eternal redemption.” Isn’t that amazing! That is truly a God thing! So where is God in the midst of our life’s storms? He is right in there with us! He cares for us and will never forsake us. We may face another ice storm, a tornado, disease, car wreck, but whatever our storm we can know that God is there, reaching out to us. After all, He has entered into the greatest storm any of us face, which is our sin and walked away with sin held captive. Psalm 91:1-2 says – “He who dwells in the shelter of the Most High will abide in the shadow of the Almighty. I will say to the Lord, ‘My refuge and my fortress, My God in whom I trust. I am so thankful that God is with us in the midst of the ‘life’s storms’. We can trust Him to walk with us and share with us in the midst of those storms. So when life’s storms come, just know God is there for all who will call upon Him. Thank you Lord for Your promised presence.